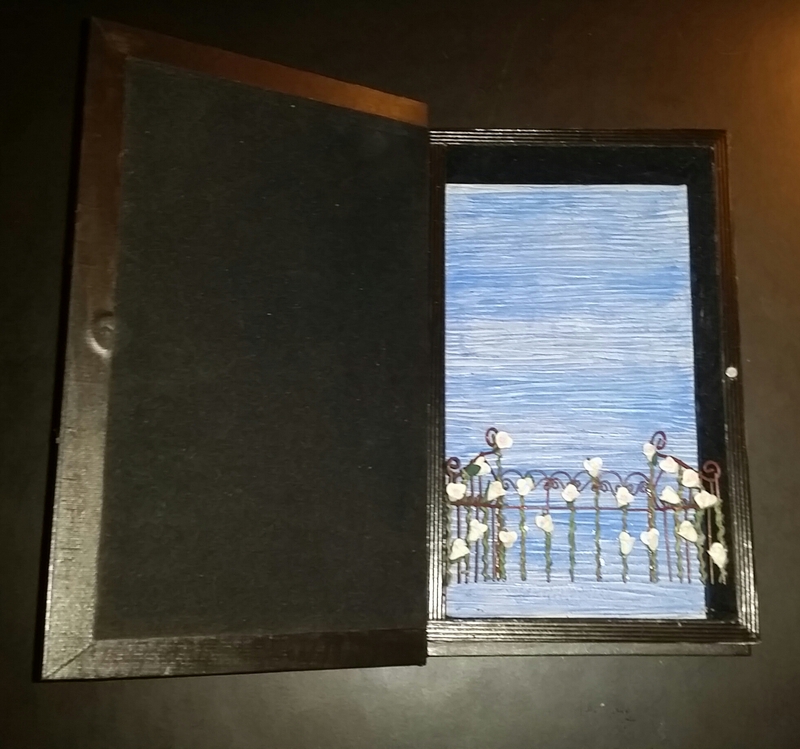 Recently I was Inspired by the beautiful shadowboxes I had seen on the internet and decided to create a special craft project. I had a hinged book box that I purchased on several months ago that I thought would be perfect to use for my Garden in a Book Shadowbox. 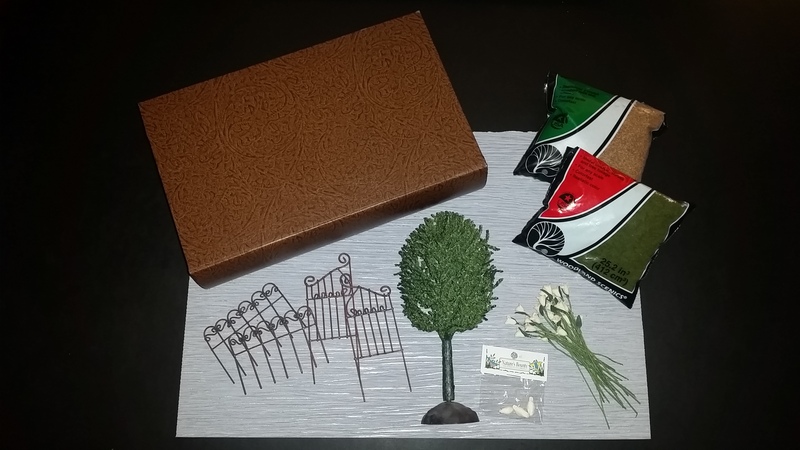 Most of the other supplies were from my craft closet – paper, a miniature tree, a miniature metal gate and fence set, small flowers and moss. 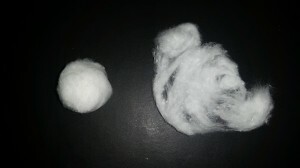 Once I had all my supplies gathered together, this was the creative part of the craft project. 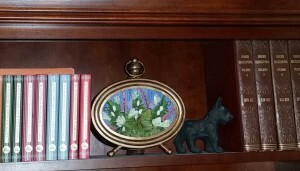 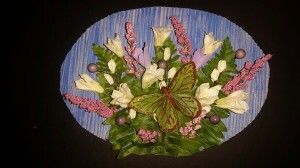 My advice is to have fun arranging the various items you have collected to make a pleasant arrangement. 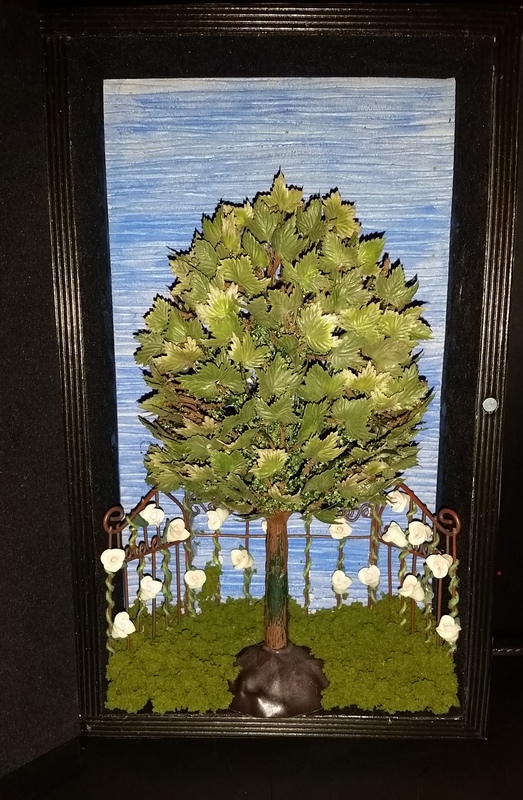 In general, I like my scenes to be symmetrical but maybe I would suggest trying to set the focal point (maybe a tree or a garden table and chairs set) off to one side. 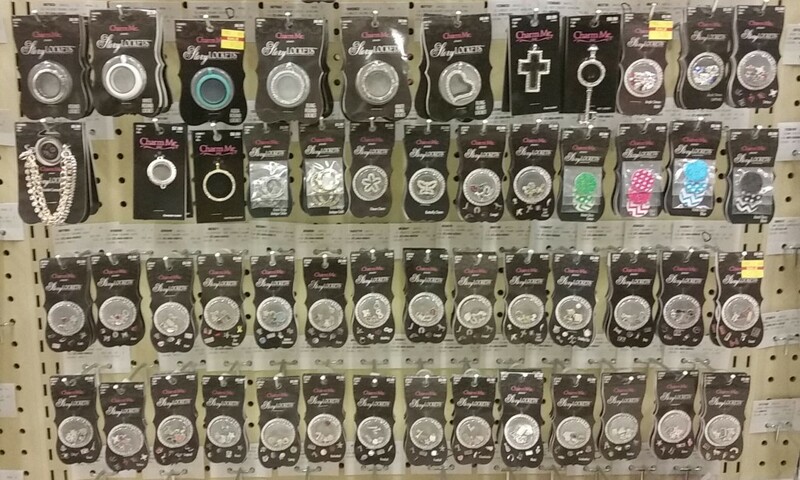 This idea would definitely add more room for embellishments and currently the craft stores are expanding their miniatures collections so the selection is definitely larger! 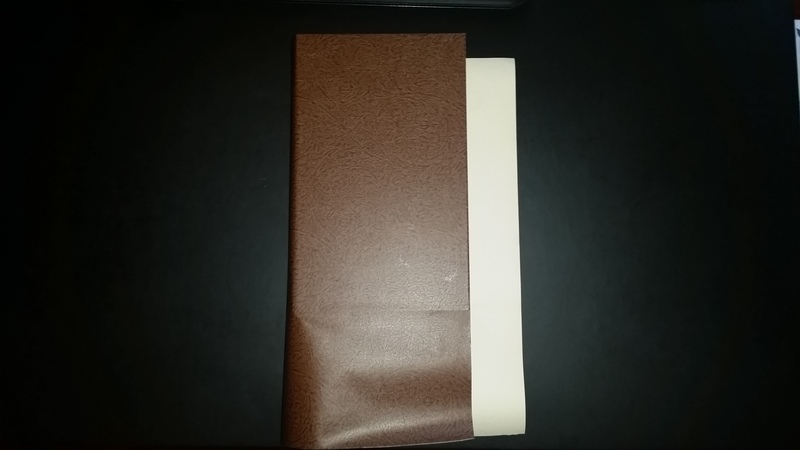 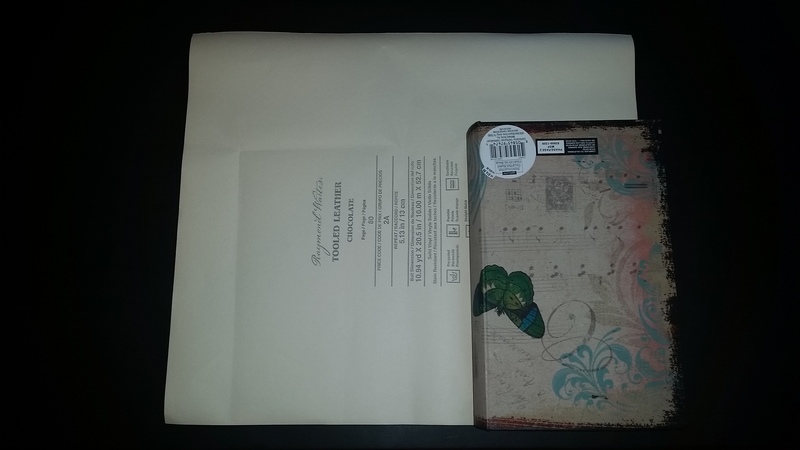 The first step is to cover the hinged book box with the durable paper. To begin, place the paper on one corner of the box. Then, smooth the paper while working across to the other side and glue into position, trim any access paper. 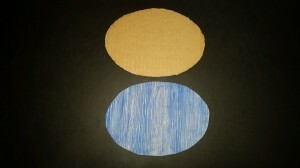 Craft Tip: To cover any slight caps between the paper and the edge of the box I used a black Sharpie marker. 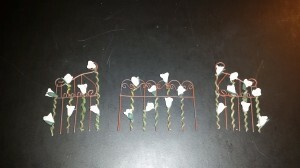 Using the metal garden gate and fence pieces, I attached the small flowers by intertwining them throughout the railings. Craft Tip: Before attaching the flowers, determine the position inside the box behind the miniature tree. 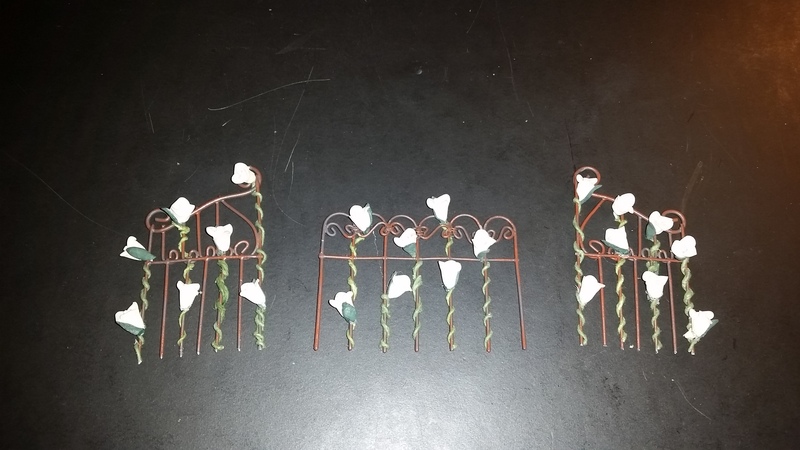 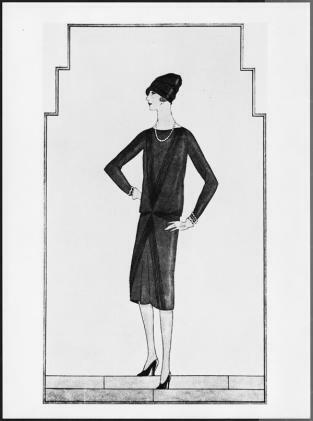 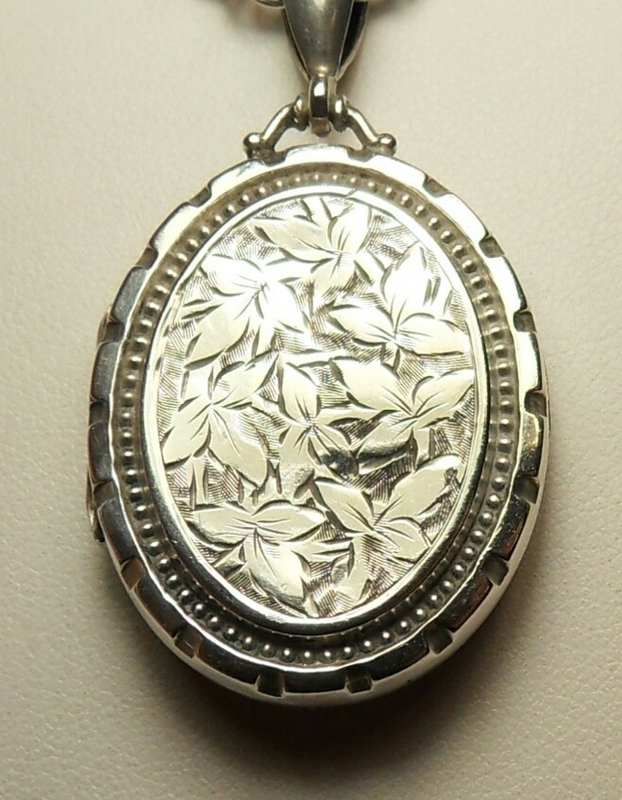 This is recommended to assure that the pieces will fit because any adjustments needed afterwards would be more difficult with the flowers attached. 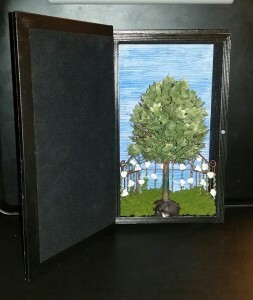 Hot glue the miniature tree to the bottom of the box. 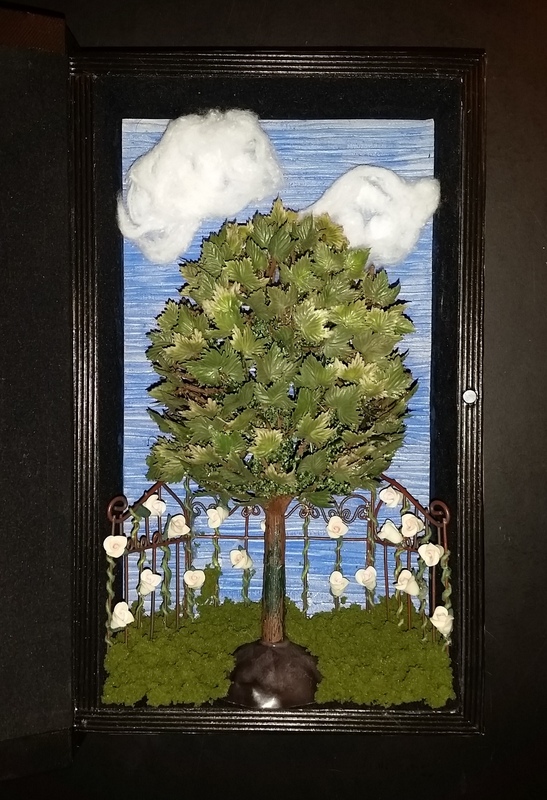 (I positioned the tree in the center because I always like a symmetrical arrangement, but it can also be set to one side to allow more room for embellishments) Craft Note: As you may notice, the tree in the supply photo and the finished photo look very different. 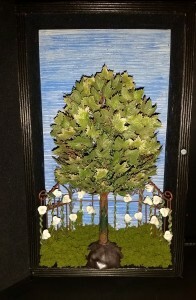 I choose to add small leaves to the tree to create a more “realistic” appearance. 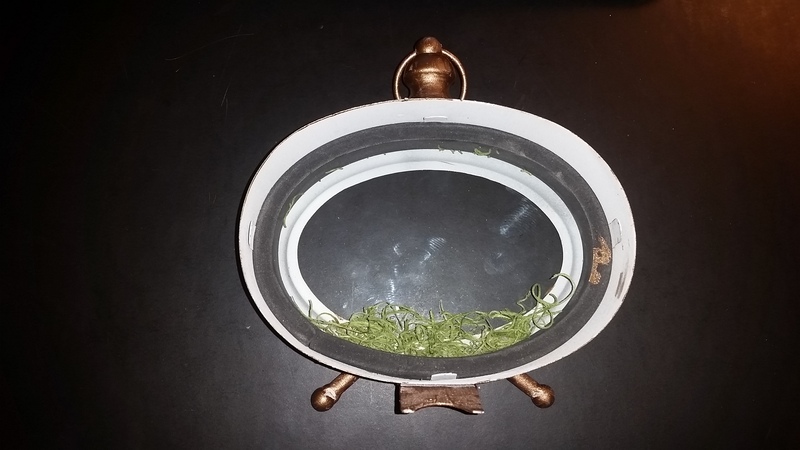 Add moss to the bottom portion of the box to complete the craft project. 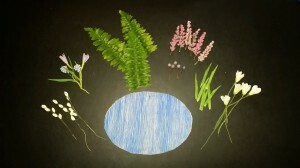 Shown below are to different version of the Garden in a Book Shadowbox. The photo on the right is the first version as explained in the instructions. The photo on the left is the second version with fluffy cotton ball clouds added to the background (which should be positioned prior to gluing the miniature tree) To make the clouds I used two cotton ball which I pulled and stretched apart until I create the perfect fluffy cloud! 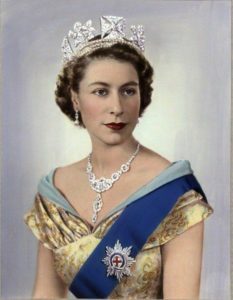 While being interested in the British Royal Family over many years I always wondered about the ribbon “badges” worn with miniature portraits pinned to the evening gowns of the female members of the Royal Family. 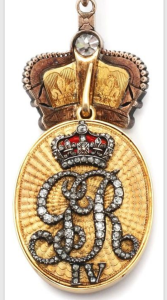 So, I set about researching the history and tradition of the British Royal Family Orders. 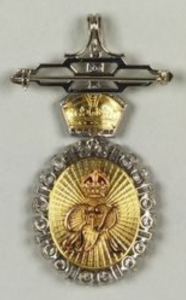 The Royal Family Orders are customarily given by the British sovereign to the female members of the Royal Family and are considered a personal item rather than the state commemorative medals worn by the male members of the Royal Family. 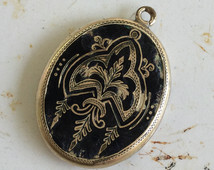 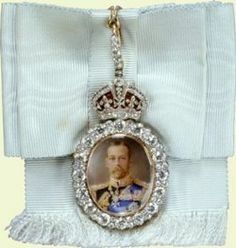 The Order is decorated with a miniature portrait of the sovereign which is suspended from a ribbon bow and on the reverse side of the portrait frame there is an engraving of the sovereign’s monogram. 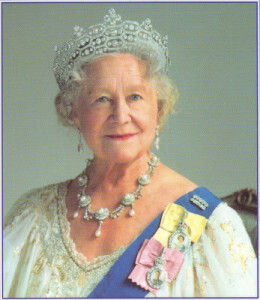 Throughout the years the color of the ribbon has been changed with each sovereign selecting their own distinctive color. 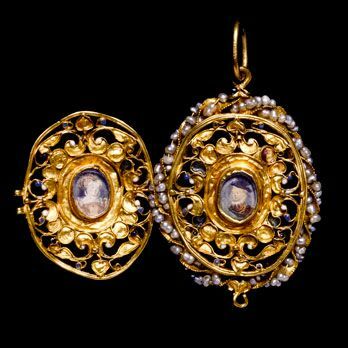 Historical Note: It seems that Queen Mary was one of the most honored women of the Royal Family having receiving five Royal Family Orders. 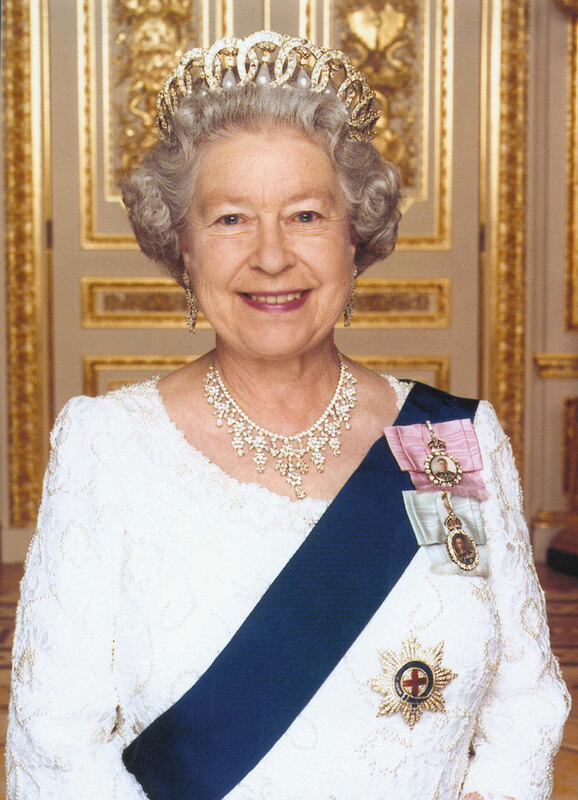 The Orders were given by Queen Victoria, King Edward VII, King George V, King George VI and Queen Elizabeth II. 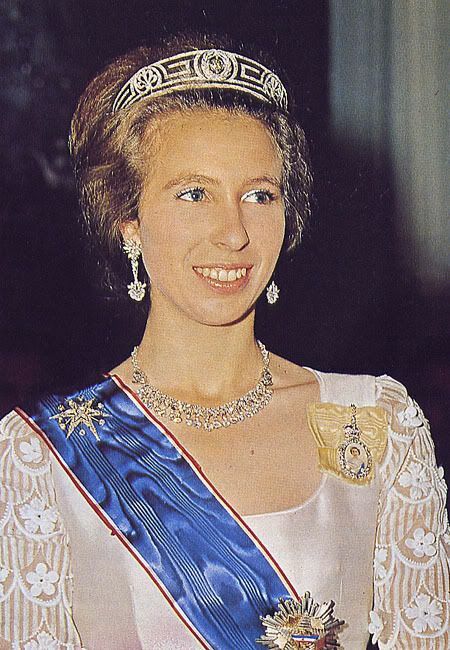 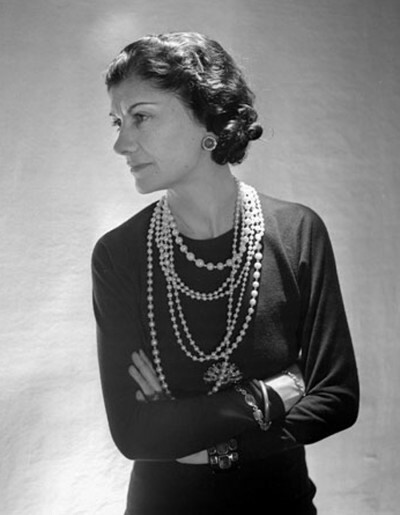 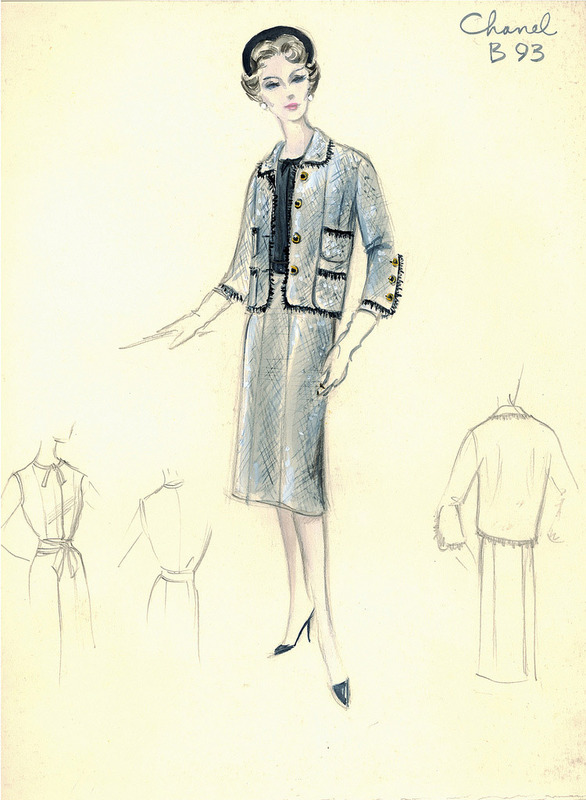 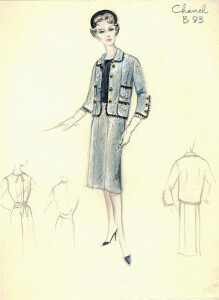 The last Order she received was to her given in December 1952 which was after her grand-daughter, Queen Elizabeth’s accession but before her coronation. Sadly, Queen Mary did not live to see the coronation and died a few months before in March 1953. 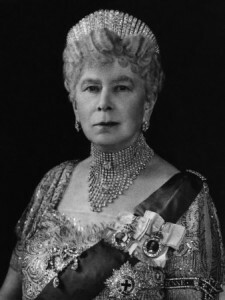 In the photo below, Queen Mary is seeing wearing two of her Royal Family Orders. 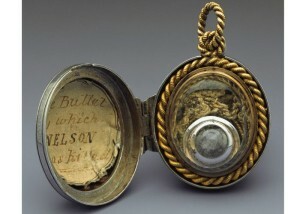 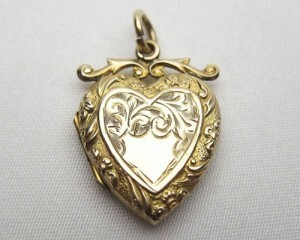 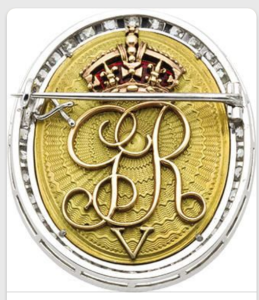 During Prince George’s regency as the result of the madness of his father King George III, the Prince is noted to on special occasions give his personal badge of honor as a memento to the gentlemen and ladies of the court. 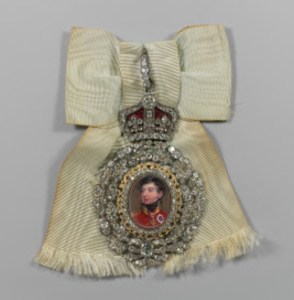 After the death of his farther and his accession to the throne as King George IV he reserved the honor of the first official Royal Family Order to be given exclusively to female members of the Royal Family. 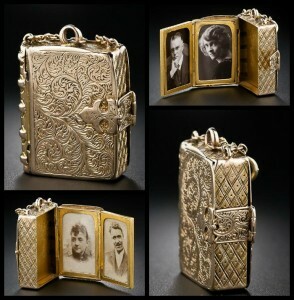 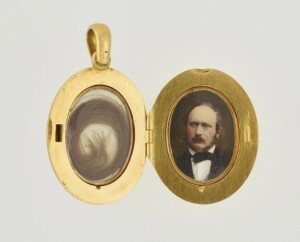 Attached to a white silk bow was a miniature portrait set in a gold and silver frame decorated with diamond oak leaves and acorns with a diamond embellished crown at the top of the frame (as shown in the photo below, the right photo shows the reverse side of the portrait frame). Some of the recipients of the Royal Family Order of King George IV included his sister Queen Charlotte of Wurttemberg, his sister-in-law Princess Augusta the Duchess of Cambridge and his niece Princess Victoria of Kent who was later to become Queen Victoria. 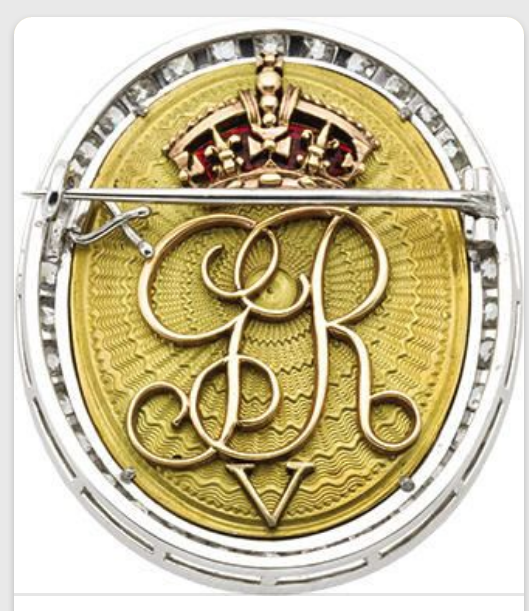 During the reign of King William IV he did not create a formal Royal Family Order but instead issued a set of square jeweled buckles featuring the crowned monograms of King William and Queen Adelaide, as shown in the photo below. 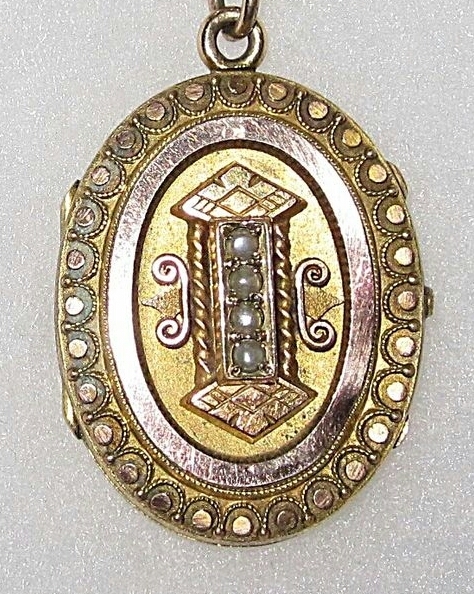 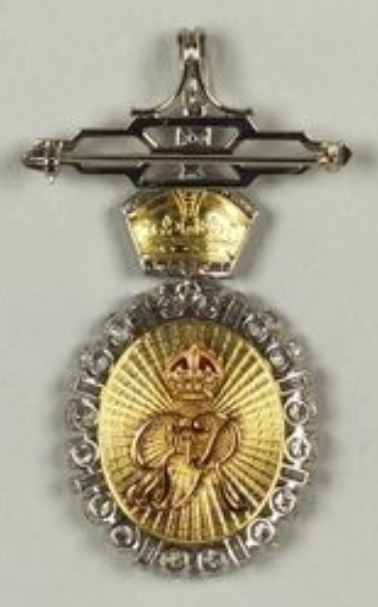 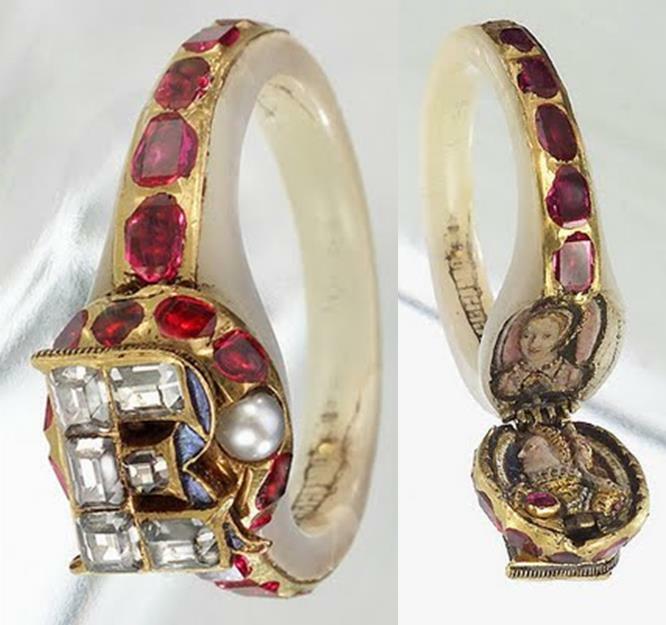 During Queen Victoria reign, her Royal Badge was initially given as her personal honor to her eldest daughter Princess Victoria on the solemn occasion of her confirmation marking her religious commitment and most notably her status as a young adult. 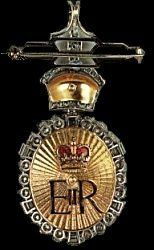 In the following years Queen Victoria bestowed the badges on her other daughters also at the time of their confirmations. Then after the death of her beloved husband Prince Albert, the Queen decided to formally create the Order of Victoria & Albert as another one of her numerous ways of honoring the Prince. 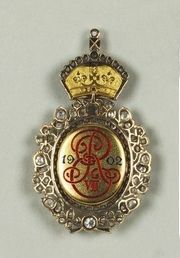 Unlike the other Royal Family Orders, the Order of Victoria & Albert was divided into four classes, the first being given her daughters and later her daughters-in-law and grand-daughters with subsequent classes issued to other members of the Royal Family and the Royal Household including honored servants and couriers. 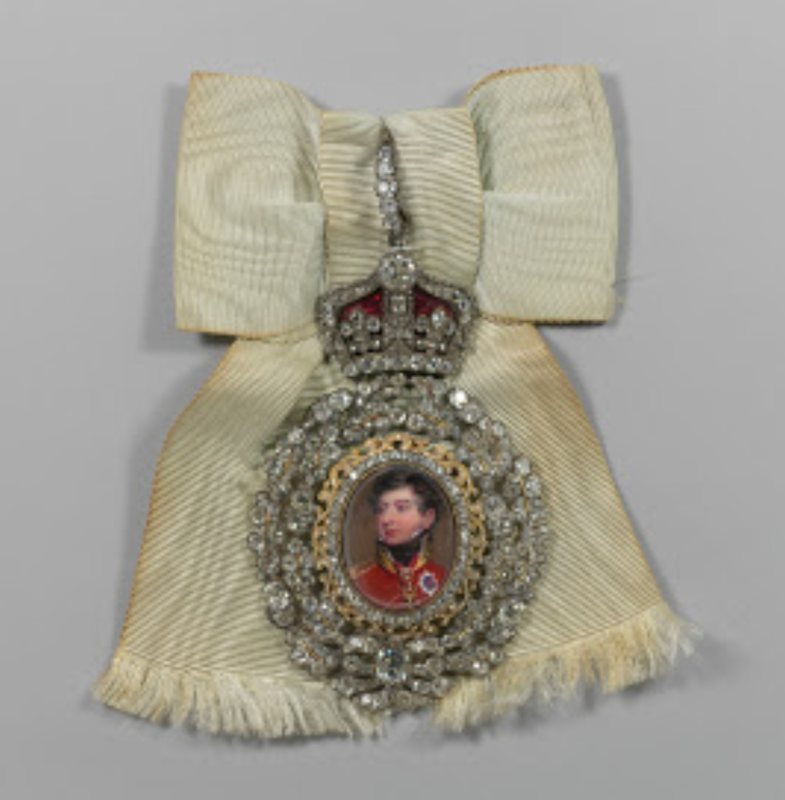 Historical Note: Both Princess Alexandra, Queen Victoria’s daughter-in-law (later to become Queen Alexandra in 1863) and Princess May of Teck (later to become Queen Mary in 1893) wore their Order of Victoria & Albert badges on their wedding days to the future Kings of England. 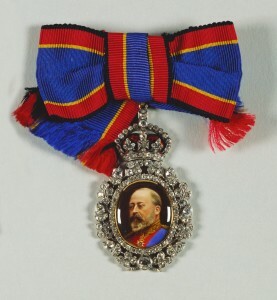 The Royal Family Order of King Edward VII was established in 1901 and features a diamond surrounded miniature portrait of King Edward painted on enamel with a diamond embellished crown at the top of the frame, this would set a precedence for future orders which would be created in this style with a single portrait of the sovereign painted on enamel. The King Edward portrait frame is attached to a bow in blue, yellow and red stripes which were coincidentally used as King Edward’s horse racing colors, the order is shown in the photo below. 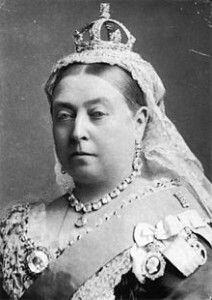 The King’s wife Queen Alexandra, his sisters, daughters and daughter-in-law were recipients of King Edward’s Royal Family Orders. 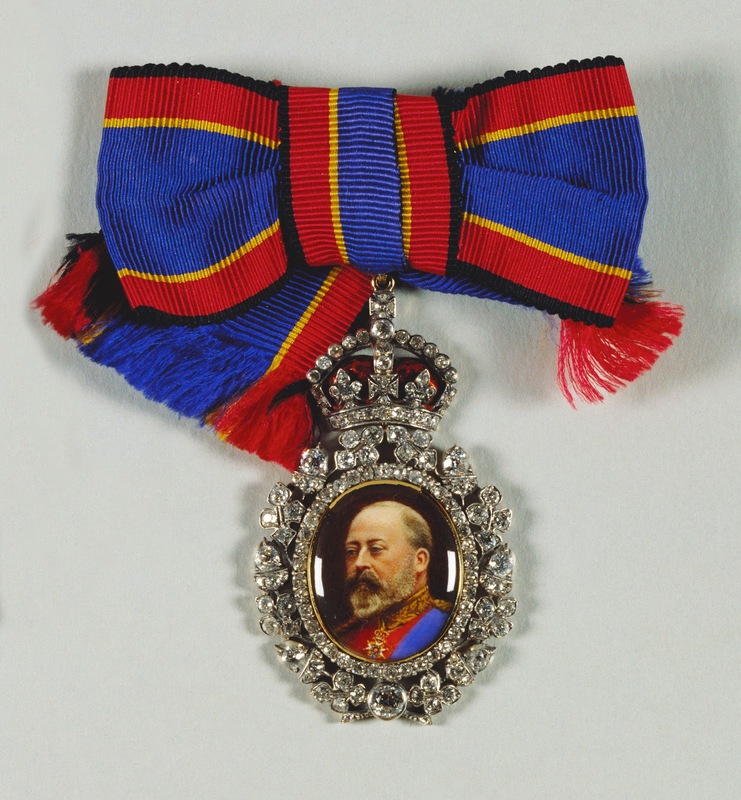 The Royal Family Order of King George V was established in 1910 and features a miniature portrait of the King painted on enamel surrounded by diamonds with a diamond embellished crown at the top of the frame which is attached to white silk bow. The recipients of the Order include the King’s wife Queen Mary, his daughter-in-law Princess Alice the Duchess of Gloucester and his two grand-daughters, Princess Elizabeth (later to become Queen Elizabeth II) and Princess Margaret. 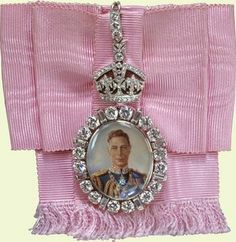 The Royal Family Order of King George VI was established in 1936 and features a miniature enameled portrait of the King surrounded by diamonds with a diamond embellished crown at the top of the frame which is attached to a rose pink bow. The recipients of the Order include the King’s wife Queen Elizabeth (later known as the Queen Mother) and their eldest daughter Princess Elizabeth (later to become Queen Elizabeth II) and their youngest daughter Princess Margaret (later known as the Countess of Snowdon). 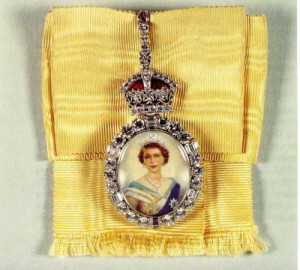 The Royal Family Order of Queen Elizabeth II was established in 1952 features a miniature enameled portrait of the young queen surrounded by diamonds with a diamond embellished crown at the top of the frame which is attached to a chartreuse yellow bow. 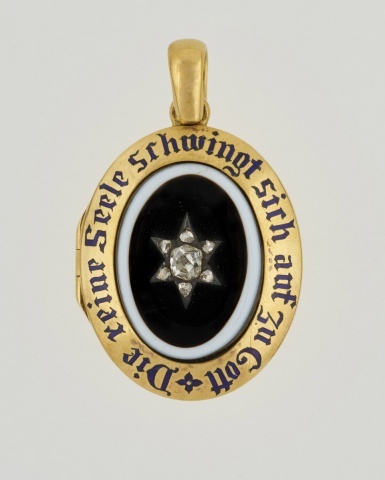 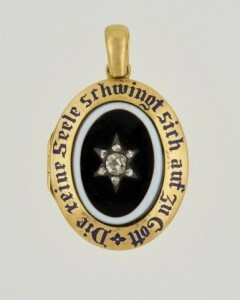 The reverse side of the Order has the Queen Royal cipher and St. Edward’s Crown in gold and enamel. The Queen Elizabeth’s Royal Family Order recipients is the longest list and includes Queen Mary (her grandmother), Queen Elizabeth the Queen Mother, Princess Margaret (her sister) and Princess Diana (her daughter-in-law) who are all deceased. 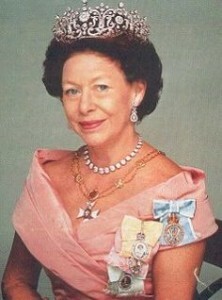 Shown in the photos below are Princess Margaret on the left wearing three of the Royal Family Orders (King George VI, King George VI and Queen Elizabeth) and Princess Diana on the right wearing the Queen’s Order. Current recipients include Princess Anne (her daughter) and her daughters-in-law Sophie the Duchess of Wessex and Camilla the Duchess of Cornwall. Three Royals are shown wearing the Order in the photos below. 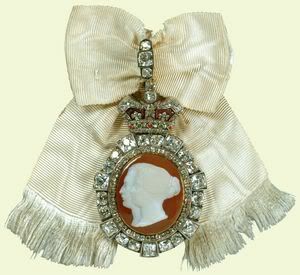 To end this post, there has been long term speculation as to when Katherine, the Duchess of Cambridge, would receive Queen Elizabeth II Royal Family Order. In past years most brides marrying into the Royal Family have received the Order within five years after the wedding, these times are all hearsay since the Order is a personal honor bestowed by the sovereign and there is no official press announcement. 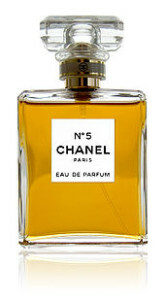 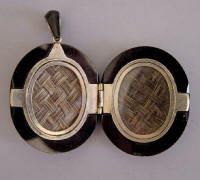 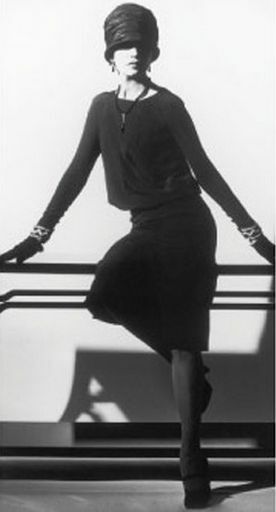 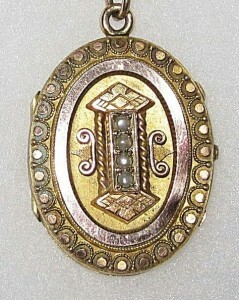 The first indication is when the recipient wears the Order at a public function, such as a State Banquet. 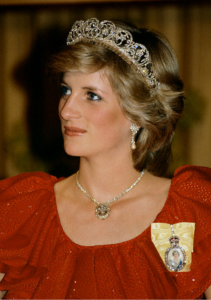 So far this has not happened for the Duchess of Cambridge and we will continue to wait in anticipation. 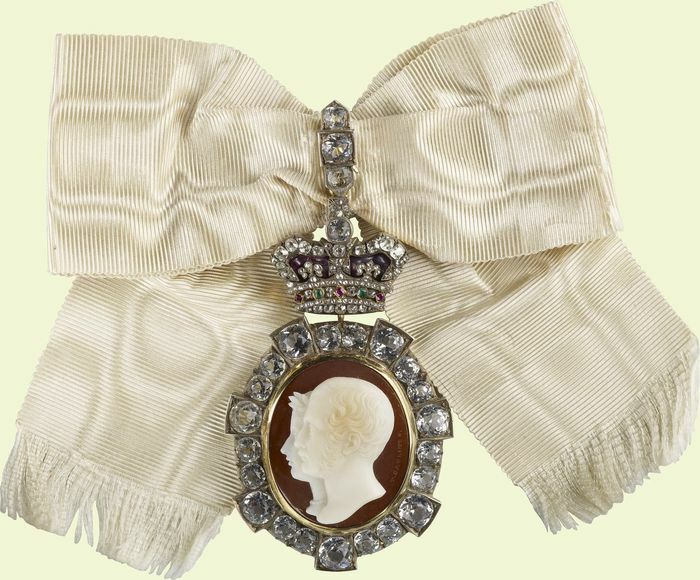 UPDATE: The Duchess of Cambridge was reported to have received the Royal Family Order in December 2017 and wore it for the first time at a Diplomatic Corps Reception that year. 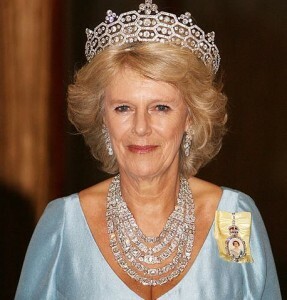 Shown below is a photo of the Duchess wearing the Royal Family Order in September 2018 at the State Banquet for King Willem-Alexander and Queen Maxima of the Netherlands. It is also interesting to note that the Duchess requested that her Royal Family Order be made of glass instead of ivory because her husband, Prince William, has is a Royal Patron of Tusk which is dedicated to the survival of African endangered wildlife. 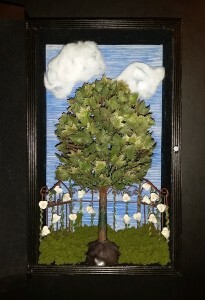 Altered or repurposed artwork is very popular right now ranging from repurposed jewelry made into decorative frames and bridal bouquets to utensils made into jewelry to altered books and clocks made into decorative items. 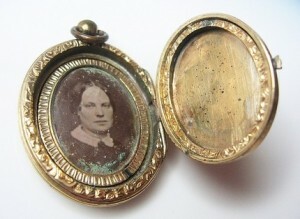 An altered item by definition is a form of mixed media artwork that changes an item from its original form giving it a new and decorative appearance. Whenever I am looking for inspiration for craft projects I always search the internet and Pinterest is a great source for looking for inspiration on a variety of items. 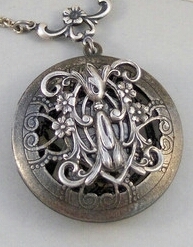 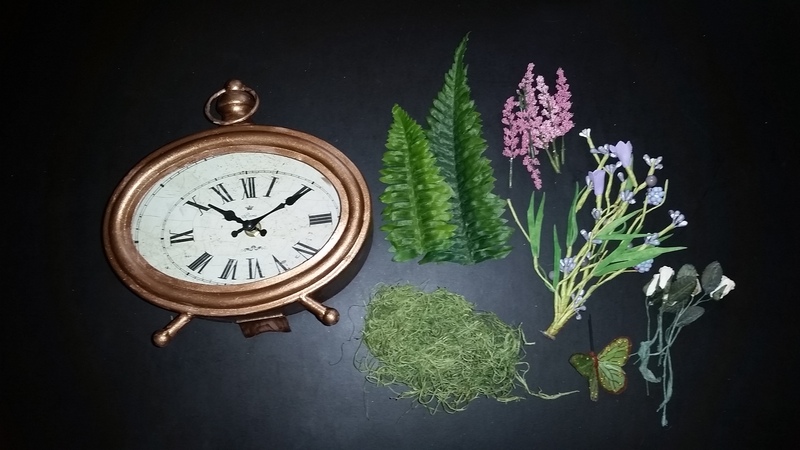 In this post I will focus on one of the most popular repurposed items – the altered clock. 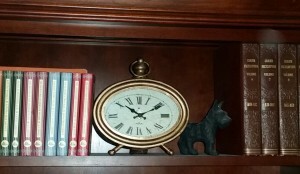 For this craft project I will take a simple table clock (which I purchased on sale at my local craft store) and make it into a lovely decorative item for my office bookshelf by using some inexpensive materials that I already had in my craft closet. 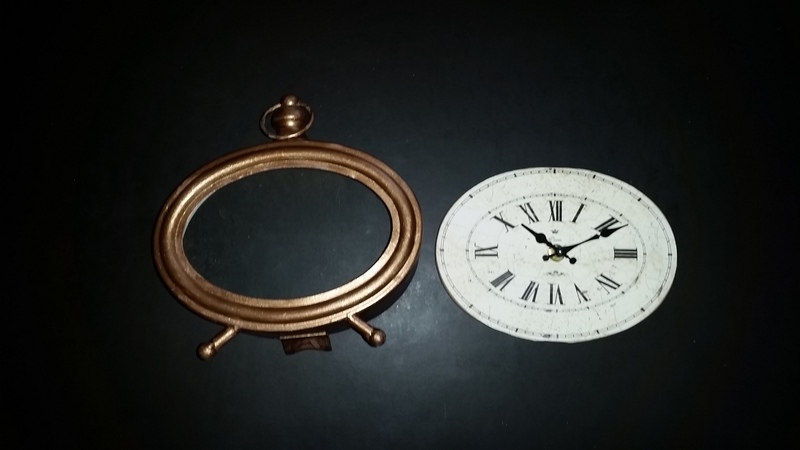 Disassemble the table clock, separate the clock from the frame but leave the glass in place. 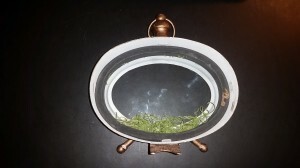 Since a new frame backing was needed after the removal of the clock, I used the clock as a template and I cut a new backing using a sturdy piece of cardboard. 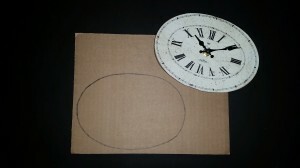 Next, I cut a piece of scrapbook paper again using the clock backing as a template; I glued this to the cardboard piece. Then, cutting the fern to fit the clock frame, I arrange three pieces and glued them to the scrapbook paper. I continued layering the small flowers and floral sprays, also gluing them to the scrapbook paper. 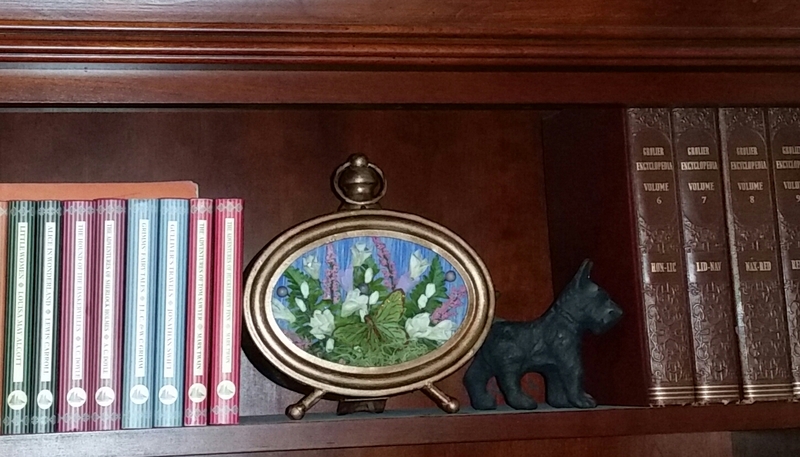 and after as it sits on the bookshelf in my home office.